Formula 1 boss Bernie Ecclestone had been brutal mugged as we reported earlier. 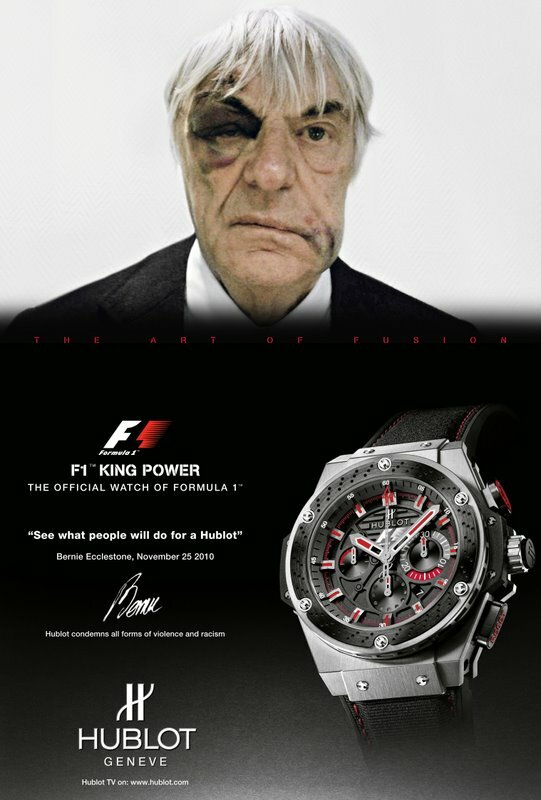 very painful situation, evidenced by the latest Hublot ad. he was wearing at the time, as well as other jewelry and valuables. attributed quote. “show defiance to his attackers”.